The Grand Court Order of Calanthe is a black Fraternal Order based in Texas. It currently has 12,000 members across the state of Texas and is a member of the National Fraternal Congress of America. The Grand Court Order of Calanthe, although open to men, women, and children, was developed as a women’s counterpart to the Knight’s of Pythias. It offers life insurance benefits to its members, but does not appear to offer any other types of insurance, including health insurance. Find health insurance companies in your area. 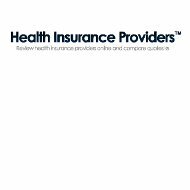 Click here and enter your zip code for a free list of health insurance quotes from several providers. The Grand Court Order of Calanthe was founded in Houston in 1897 when black Americans were in need of burial insurance. For an affordable annual membership fee, members were provided with support when they needed it. By 1902, the group officially became a fraternal benefit society in order to offer members increased death benefits, improve member services, and offer to improve the community through various service projects. In 1907, a juvenile division was organized to help support youth projects in the community. Today the Grand Order of Calanthe is led by President Grace Ellis and Manager Bayonne Moody and has a strong presence in communities across Texas. It promotes benevolence, charity, and fraternity, as well as, fidelity, harmony, and love for each other. The Order organizes youth groups such as bell choirs and dance troops. They participate in community service projects and benefits throughout the area and organize member outings and get-togethers. Several life insurance plans are available to all members. The Grand Court Order of Calanthe has their home office located in Houston, Texas. The building was constructed here in 1948 and continues to house the executive offices for the organization. If you wish to contact the Order to find out more information about membership or its insurance products they can be contacted via mail, phone, or fax. Need health insurance, not life insurance? Click here and enter your zip code for a list of health insurance rates from local providers.